follow As I’ve mentioned several times recently, we are in our fifth and final week of summer cooking classes. And coincidentally, today is the last day of this last week… no more kids’ classes until Summer 2012 now. Well, way back in weeks 1 and 2, we had a day called Wrapper Magic, where we used either egg roll, wonton, or spring roll wrappers for each course. 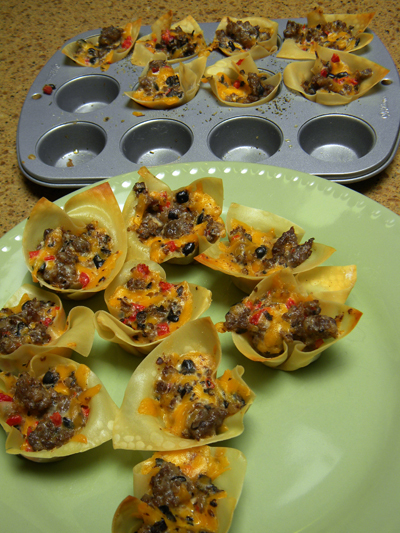 One of the most popular dishes on Wrapper Magic day was these quick and super tasty appetizers.